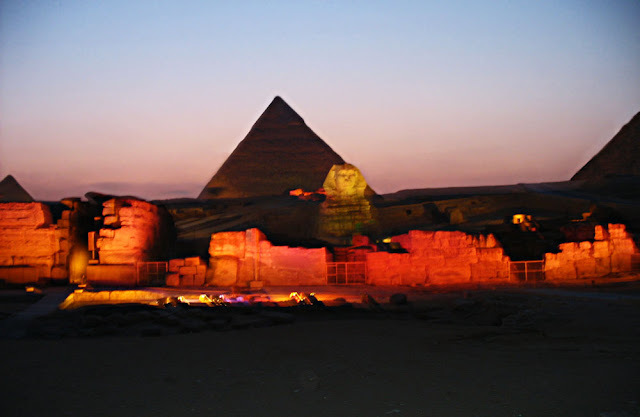 A brightly lit Khafre's Pyramid of Egypt. A golden yellow light has enveloped the pyramid during the Sound and Light Show. The background is the sky at dusk. The Sphinx bathed in a golden light and the foreground rocks in blue. 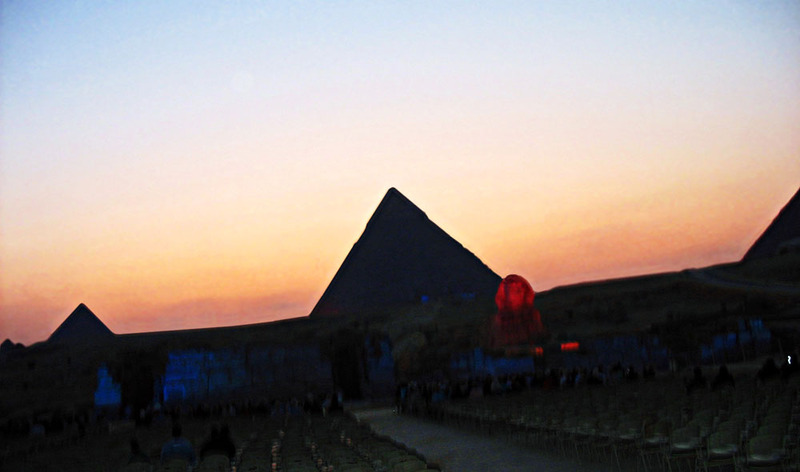 This shows a spectrum of colours of the setting sun as a background for the three pyramids of Egypt. A glowing Sphinx can be seen in the foreground as well as the chairs laid out for spectators of the Sound and Light show. 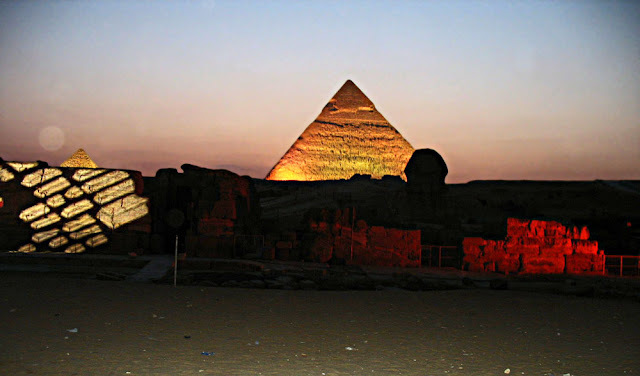 This is a view of Khafre's Pyramid, and the Sphinx which is said to have the head of Khafre. A glowing Khafre's Pyramid with the Sphinx in the foreground. 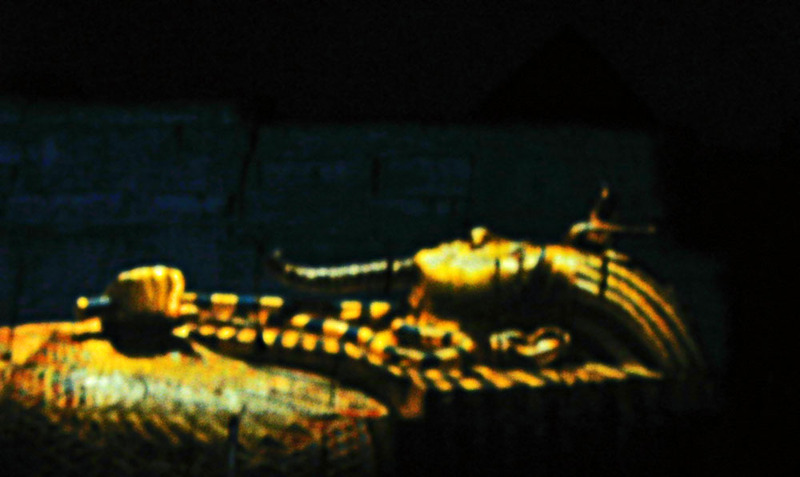 An image of a mummy is projected on to the rocks. 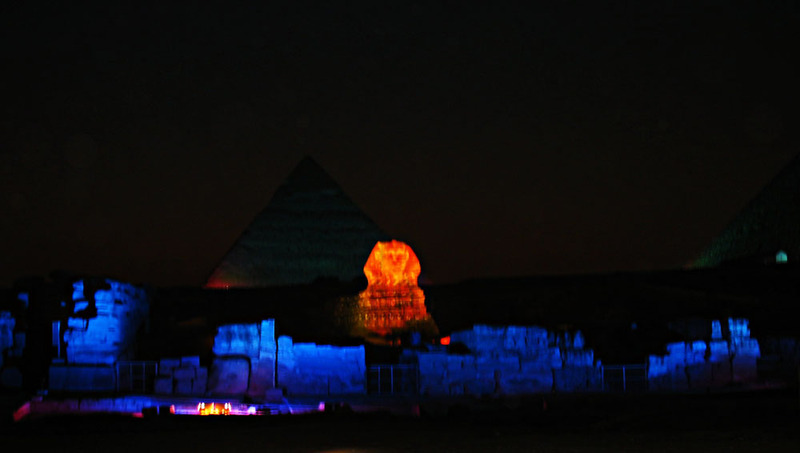 The Sound and Light Show tells a story of the Pharaohs and here one of their faces is projected on to the rocks. This photo was taken at dusk. 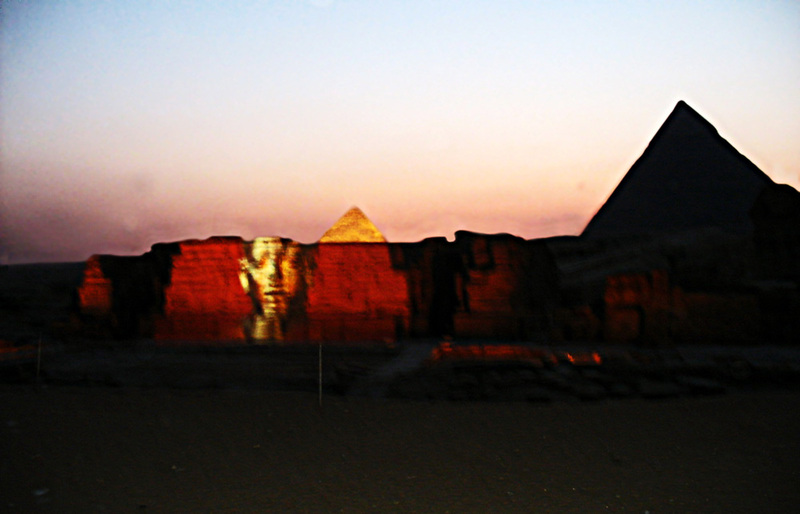 The fading light of the sky is in the background, and the quickly darkening pyramids in the foreground.